The joy and excitement of staying with us! Our minimal building footprint means more pristine nature for our guests. What we love about the philosophy toward tourism in Costa Rica is that it places a passionate emphasis on making as little an impact on the environment as possible. What this ultimately translates to is a greater and more meaningful opportunity to experience the true power of Costa Rica’s tropical nature. 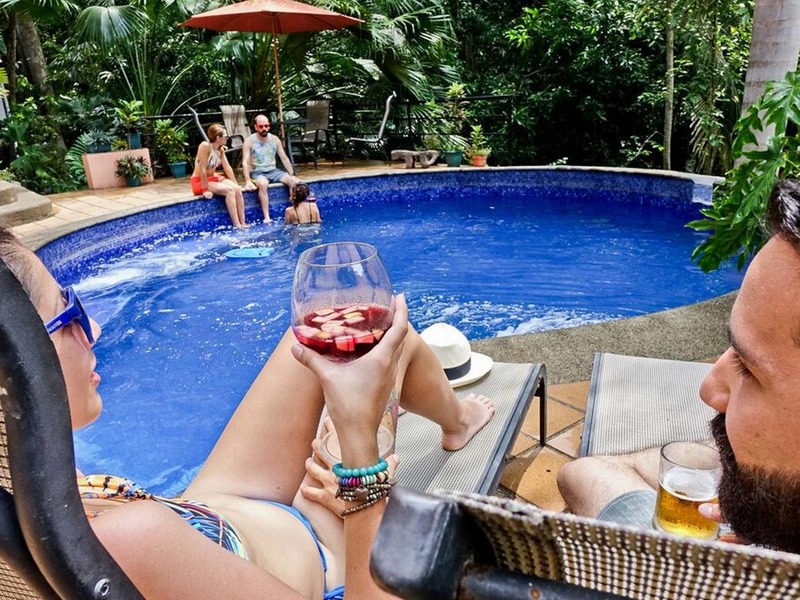 We pride ourselves on offering a central location for our Manuel Antonio vacation rentals, but also while maintaining a remote and authentic feel at our Inn. Our studio apartments offer guests a truly comfortable Costa Rican home-away-from-home experience. And when it comes to rest and relaxation, peace of mind and serenity of spirit, we are happy to offer our guests the opportunity to spend time at our jungleside infinity pool. Provides the perfect place to enjoy our rainforest surroundings any time of day. From a morning swim to an evening dip and drink, our jungleside infinity pool offers an intimate space ideal for quiet relaxation. Guests continue to tell us just how amazing our pool is and for that we are so grateful to include it among our wonderful suite of amenities. We also offer a BBQ for those wishing to cook outside and hang out by the pool. In addition to the infinity pool at Junge Vista Inn, thanks to our partnership with The Preserve at Los Altos, our guests are able to access the amenities at Los Altos free of charge. Only a short walk away, the amenities at Los Altos include: the concierge, an infinity pool, fitness center, hiking trails, gourmet restaurant, spa, and beach. Like our infinity pool, the infinity pool at Los Altos offers guests the extraordinary opportunity to experience the beauty and breadth of Manuel Antonio’s tropical nature, with a one of a kind, expansive Pacific Ocean view. 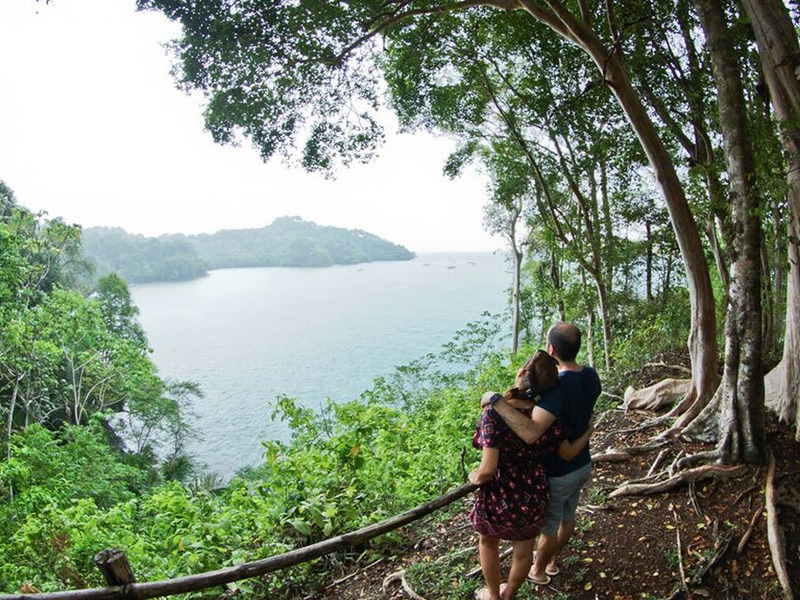 The well-maintained self-guided hiking trails at Los Altos offer guests an excellent opportunity to deepen their engagement with Manuel Antonio’s beloved rainforest. The Preserve at Los Altos offers a wonderful network of trails from beginning to more advanced that guide guests through an unforgettable natural environment. Trees, plants and wildlife come into view like never before, and guests have repeatedly told us how inspired they are by the Preserve. We’ve been here for years and the sights and sounds of our rainforest surroundings truly never gets old. Is the perfect place to dine breakfast, lunch and dinner and also to grab a morning coffee or a drink at happy hour. The restaurant offers a sweeping view of Los Altos’ preserve as well as of the Pacific Ocean. The concierge at Los Altos is also on hand to assist in booking tours, scheduling spa treatments at Los Altos, or guiding you to the all-natural beach located at the foot of the Los Altos preserve. 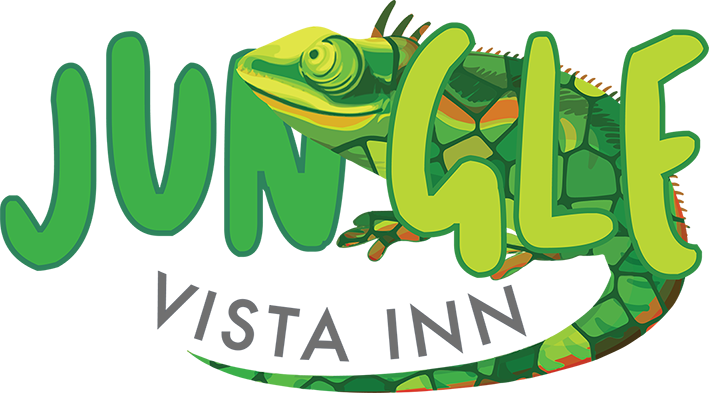 Our hope at Jungle Vista Inn is to provide our guests the chance to experience Manuel Antonio on their own terms, but with all the assistance they’ll need.